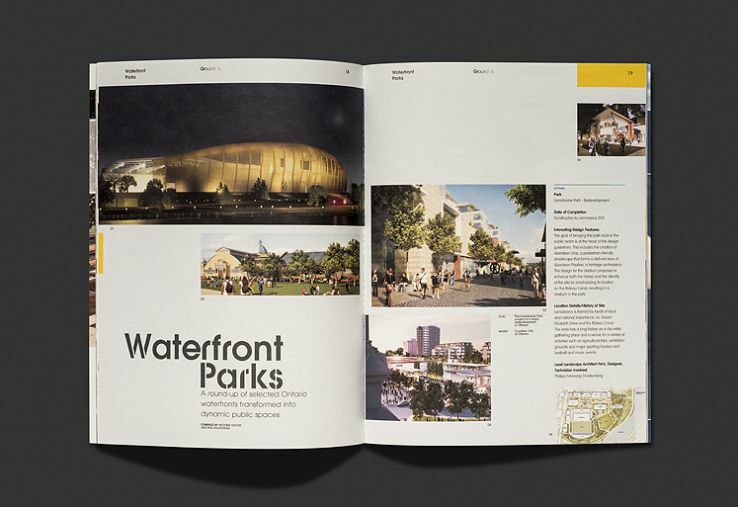 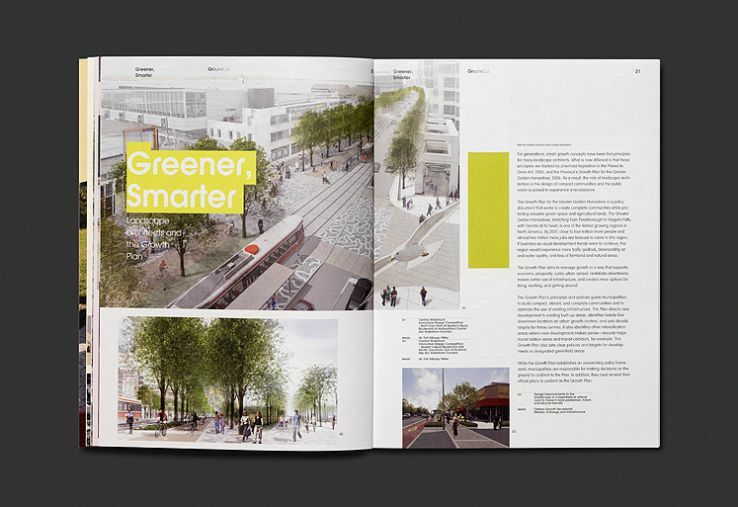 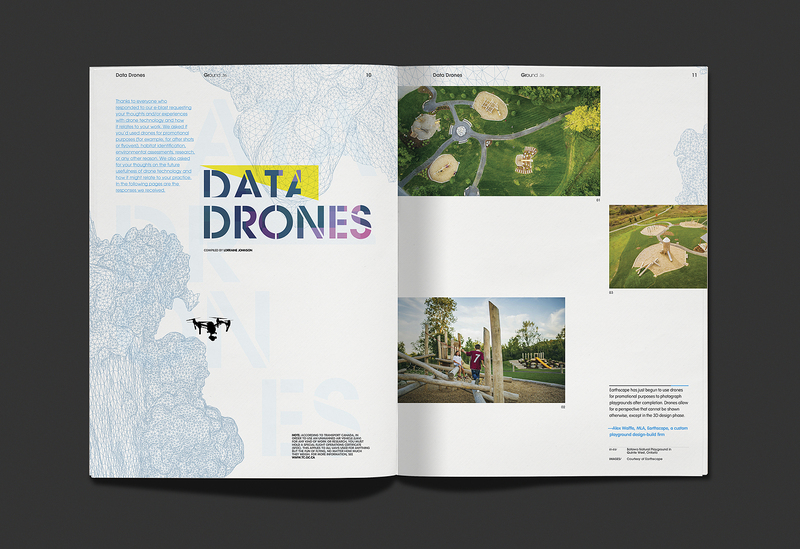 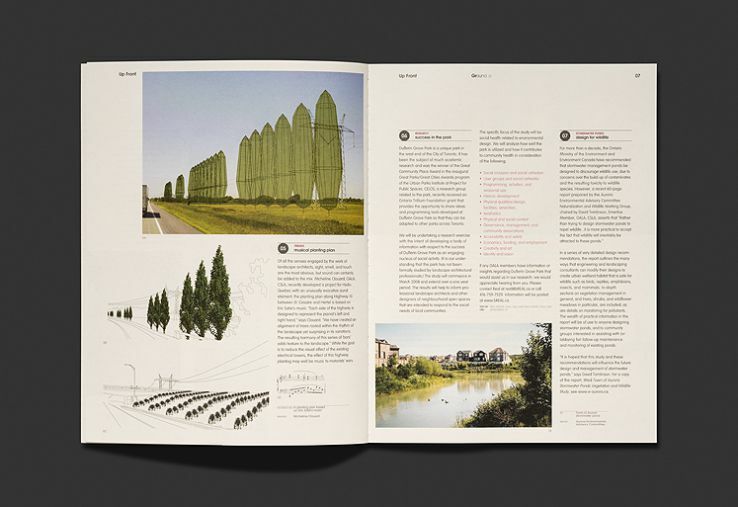 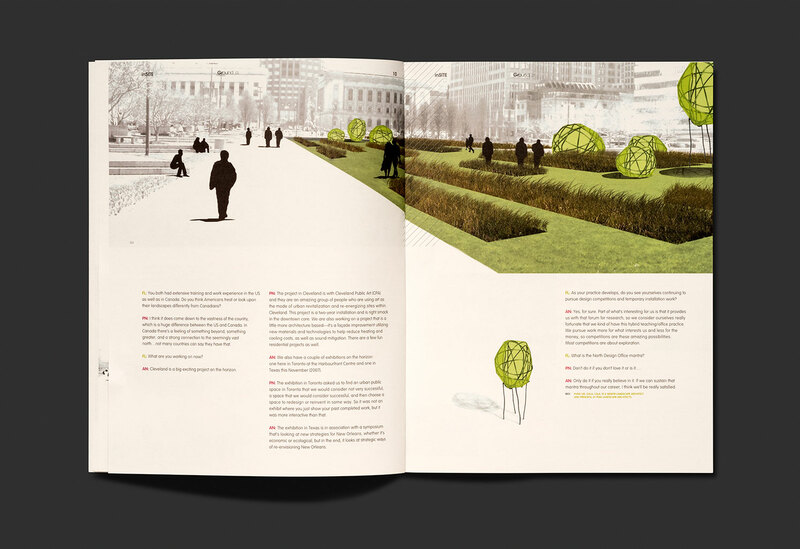 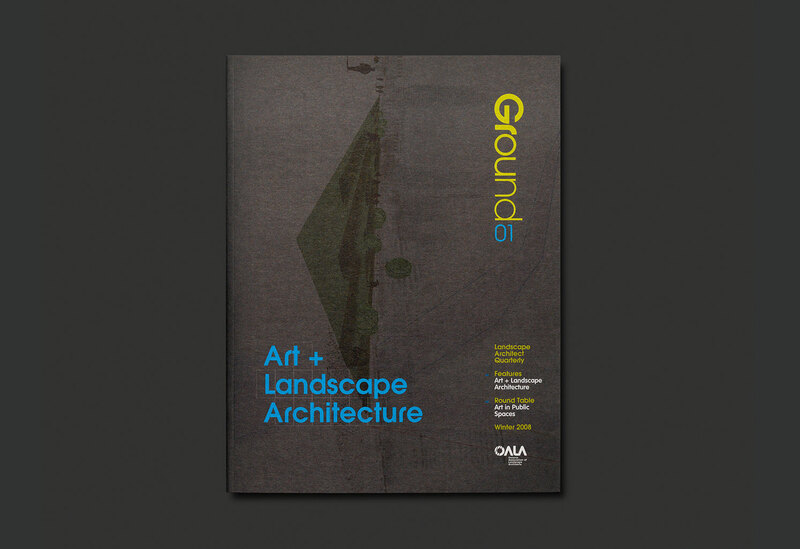 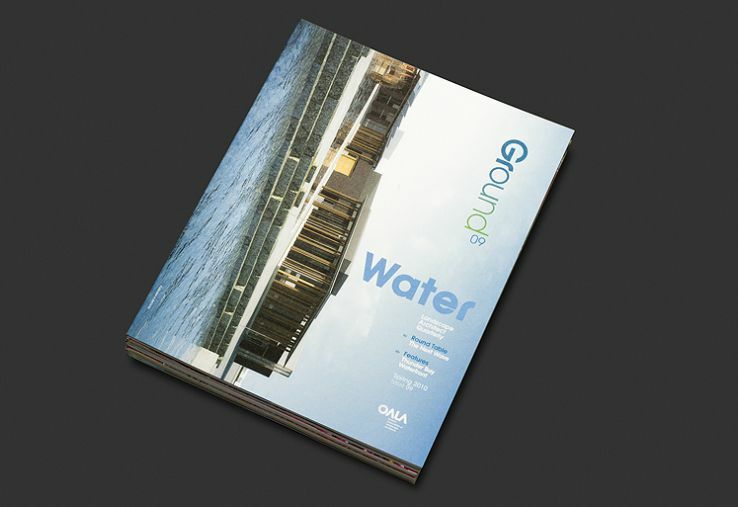 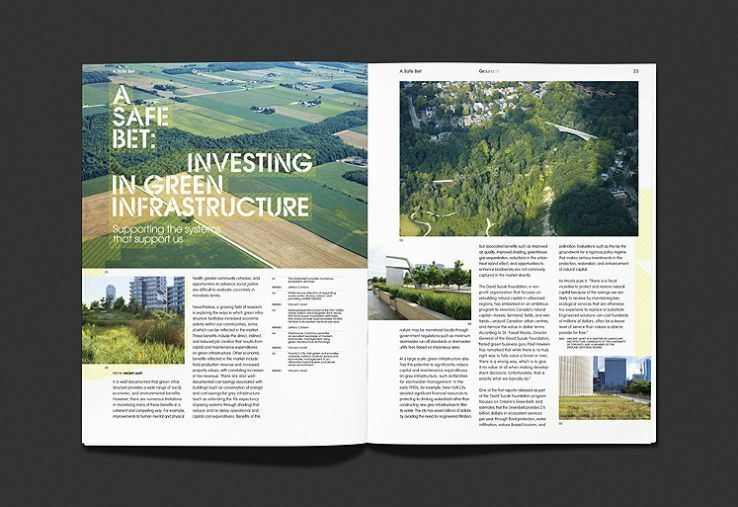 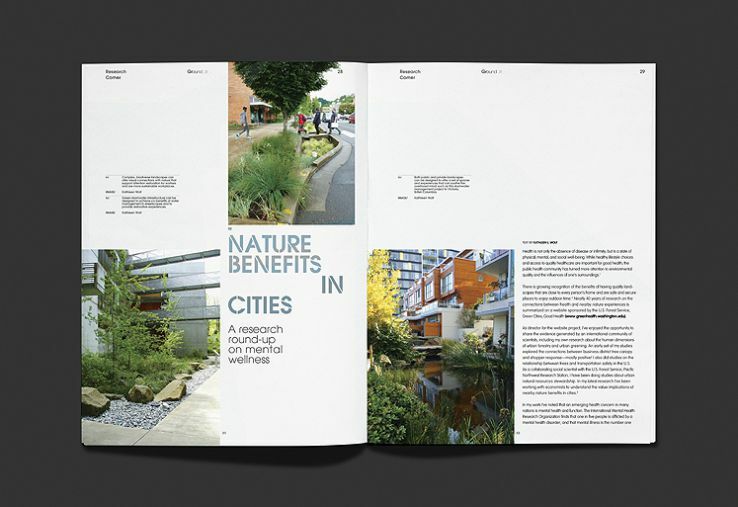 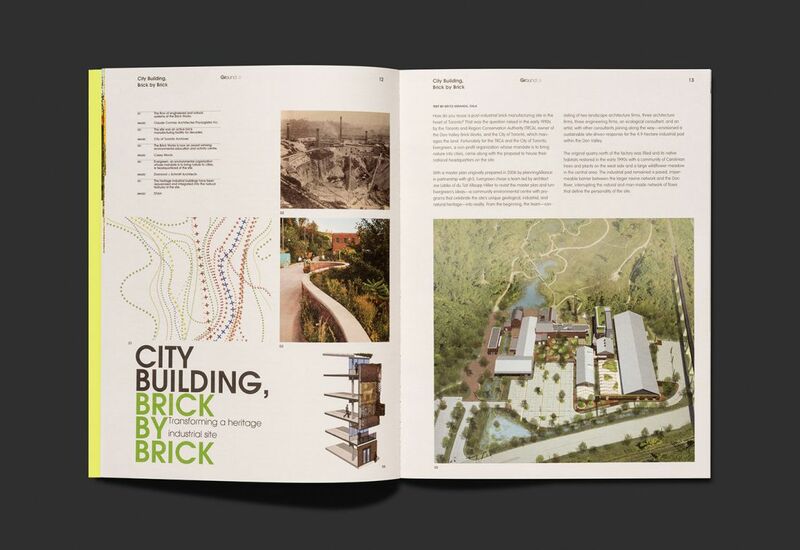 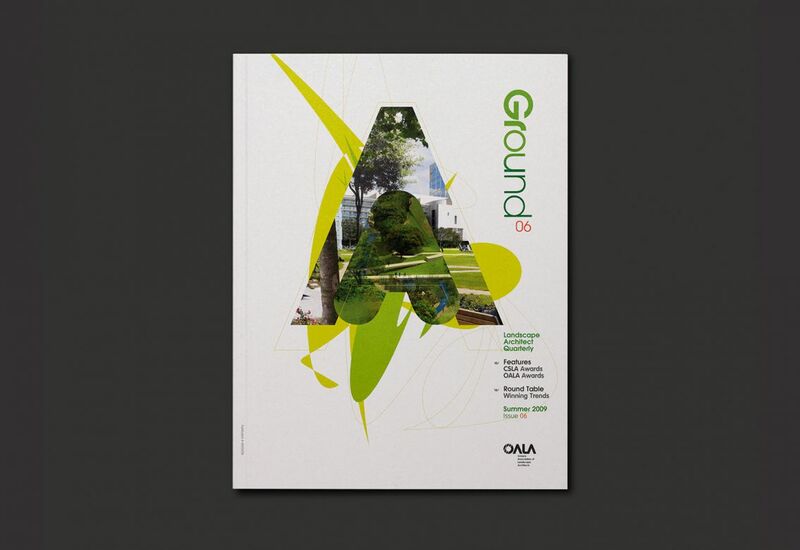 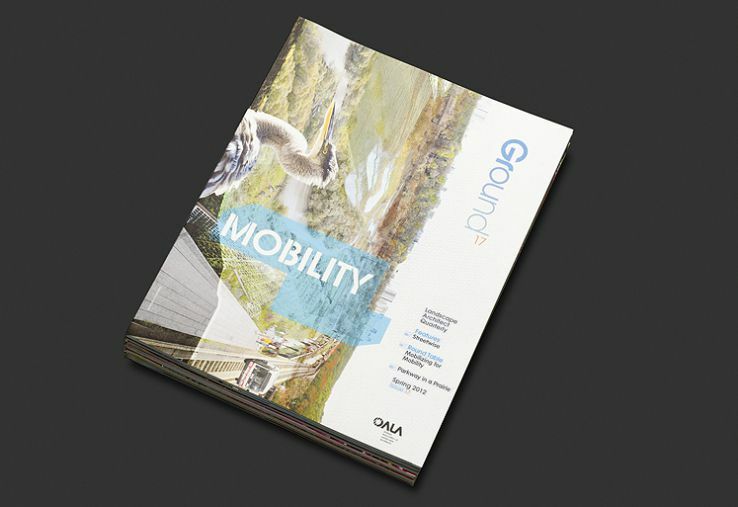 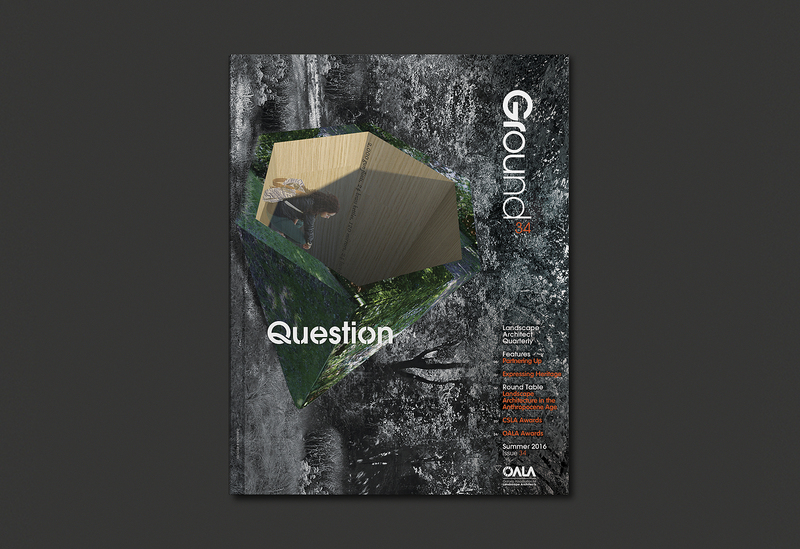 Ground: Landscape Architect Quarterly is a perfect bound magazine published by the Ontario Association of Landscape Architects and provides an open forum for the exchange of ideas and information related to the profession of landscape architecture. 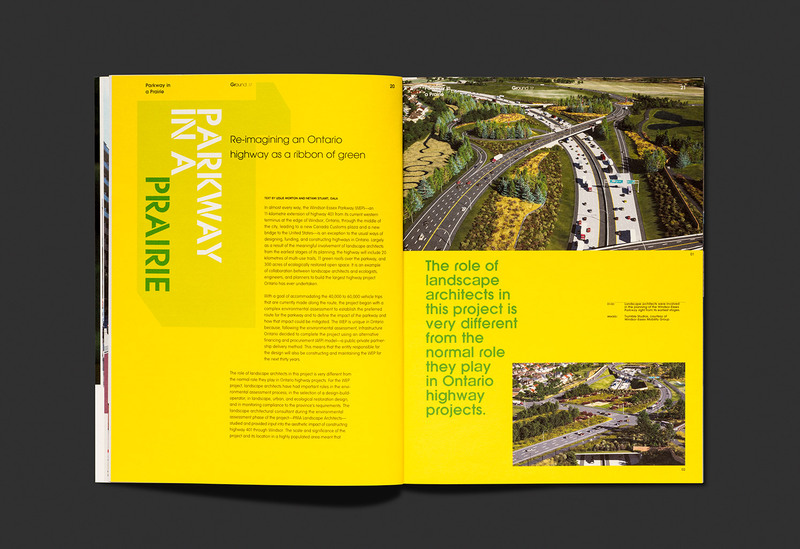 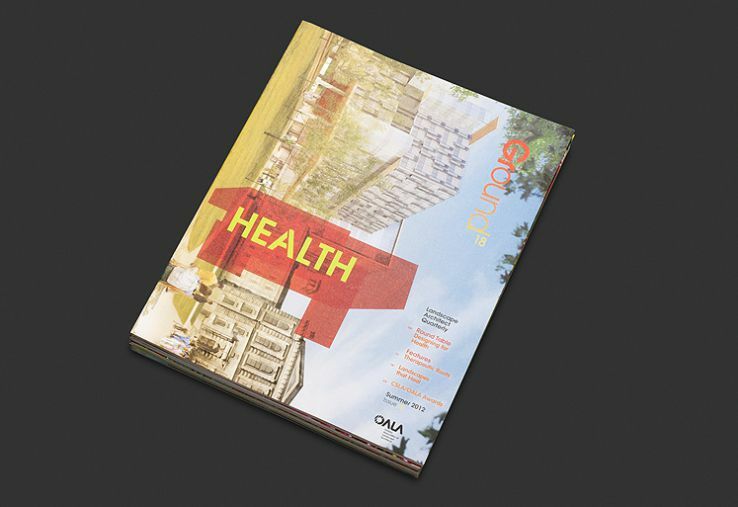 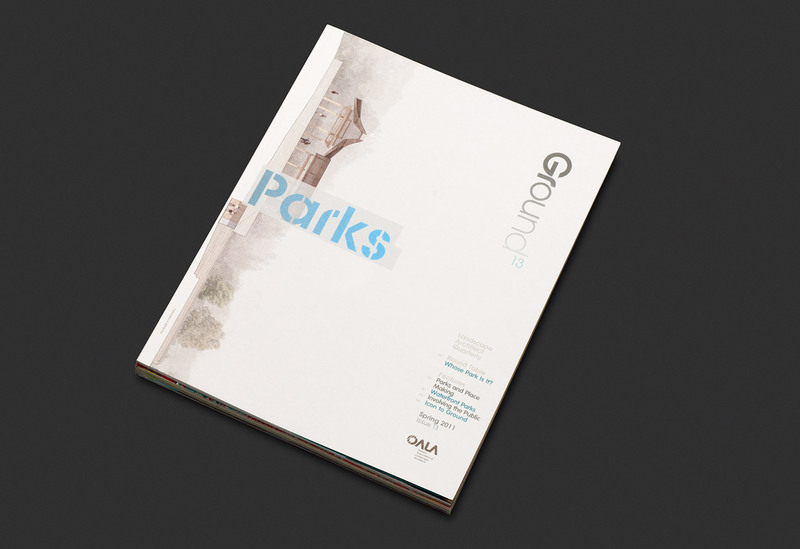 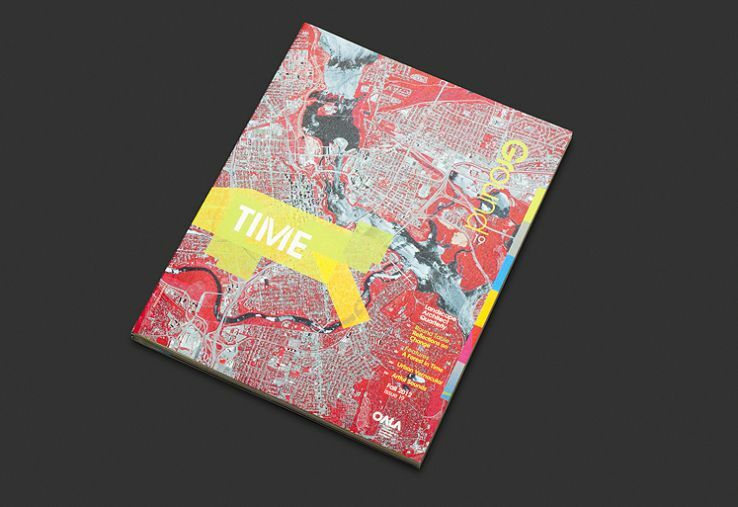 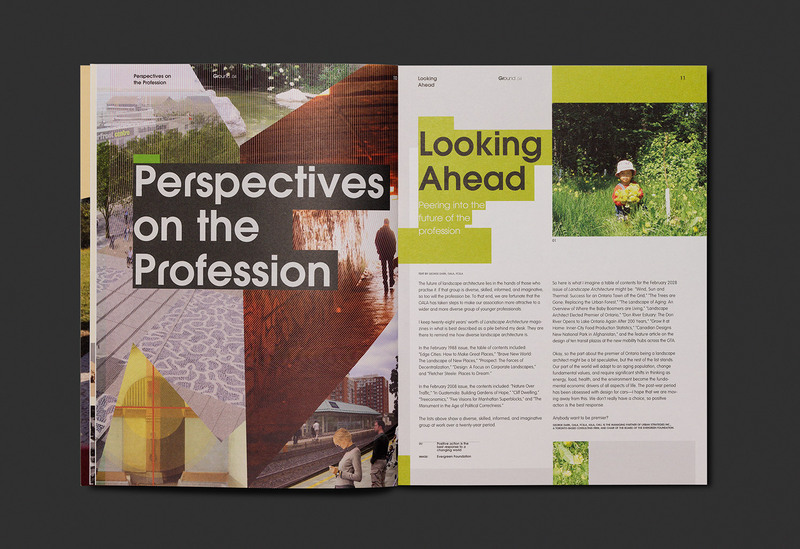 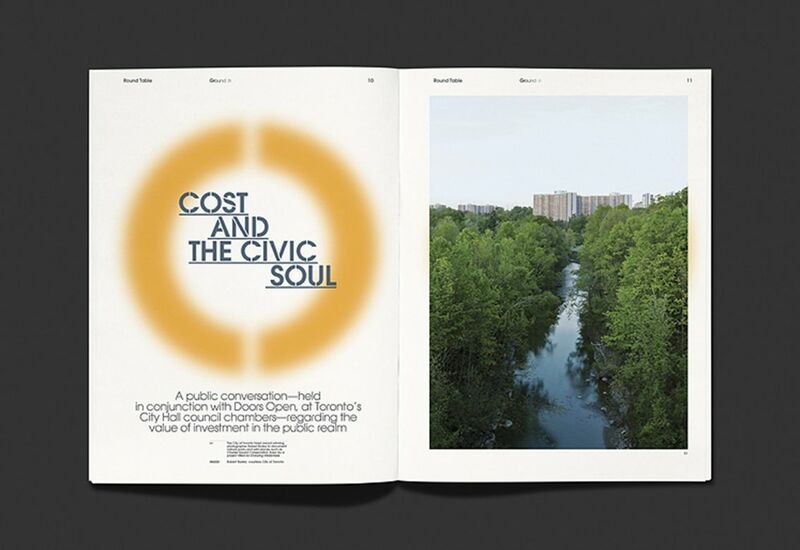 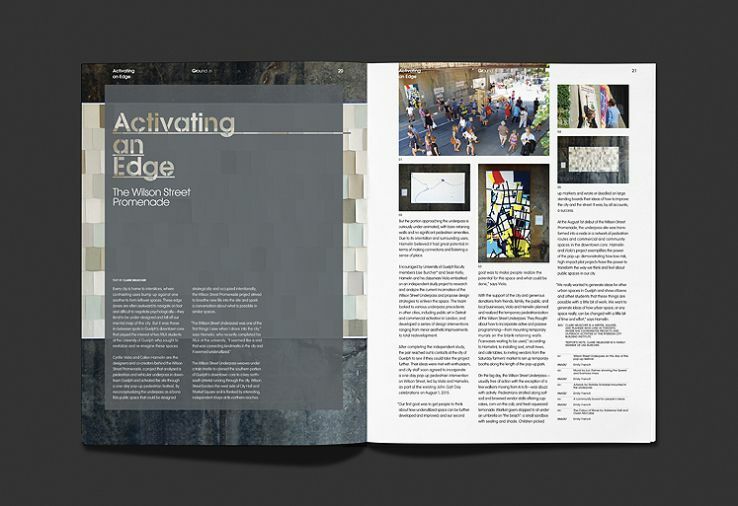 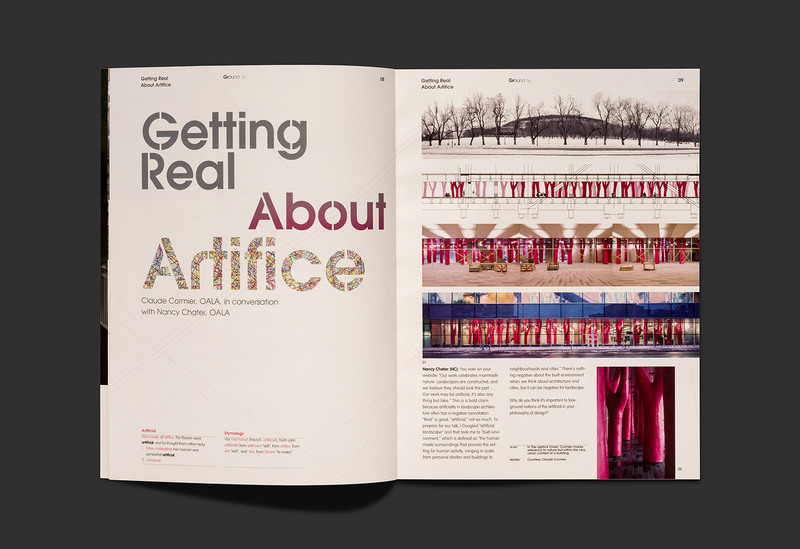 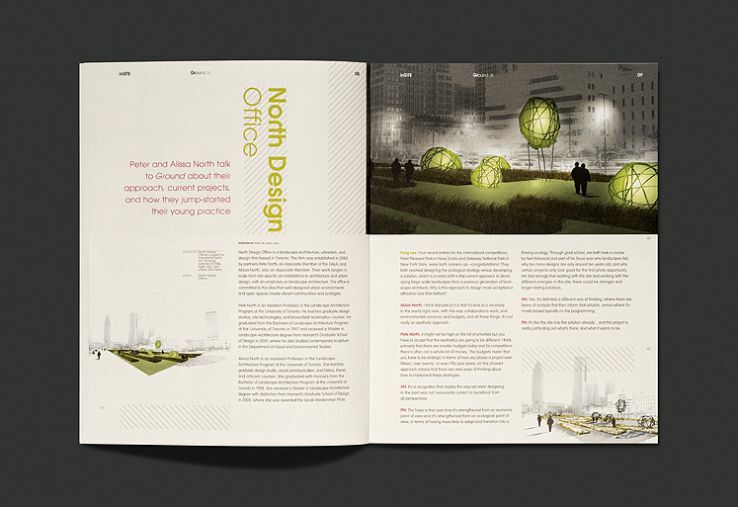 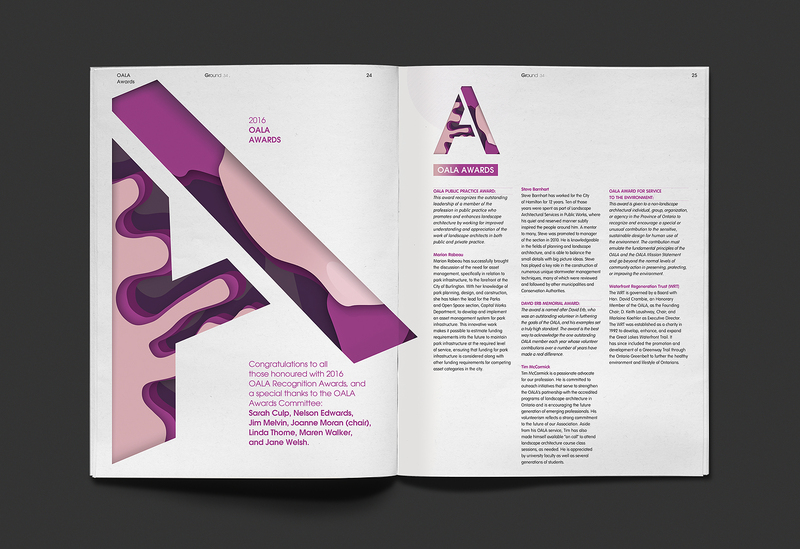 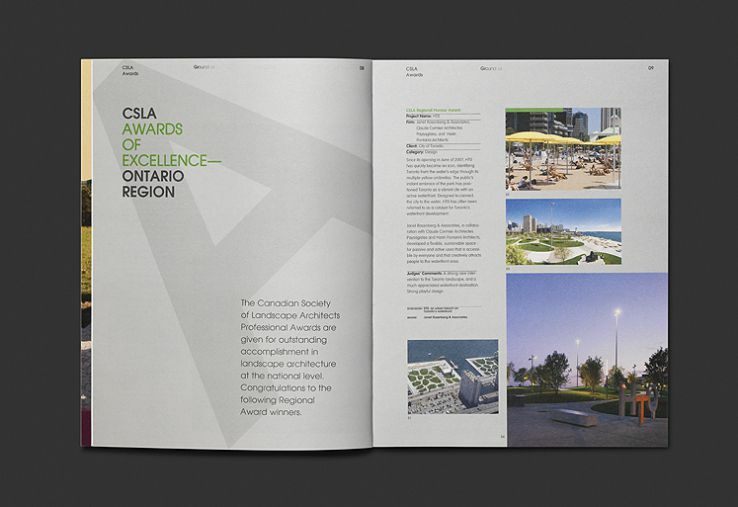 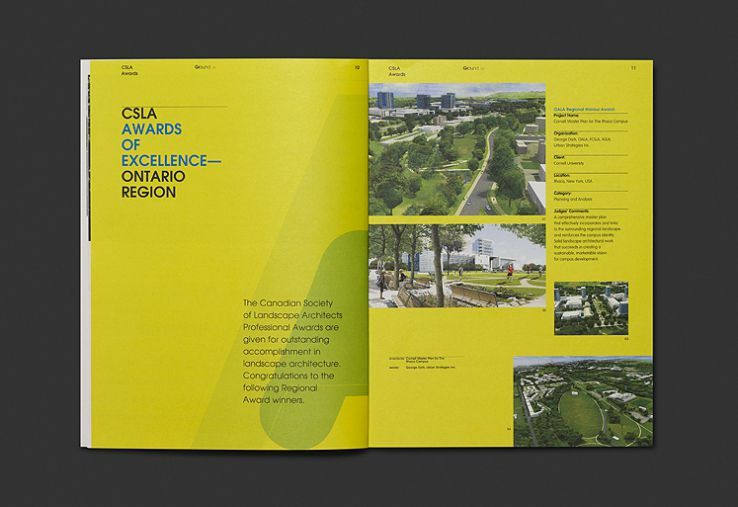 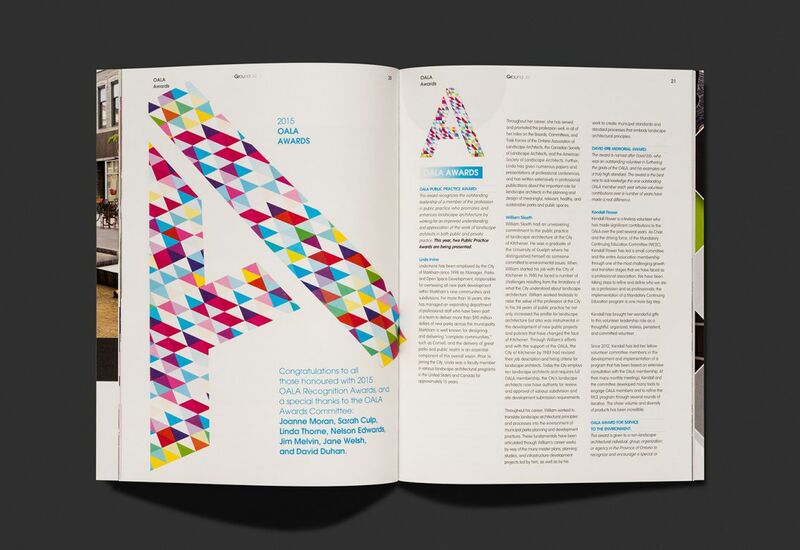 typotherapy was commissioned to redesign, rename and art direct the Ontario Association of Landscape Architects (OALA)’s magazine. 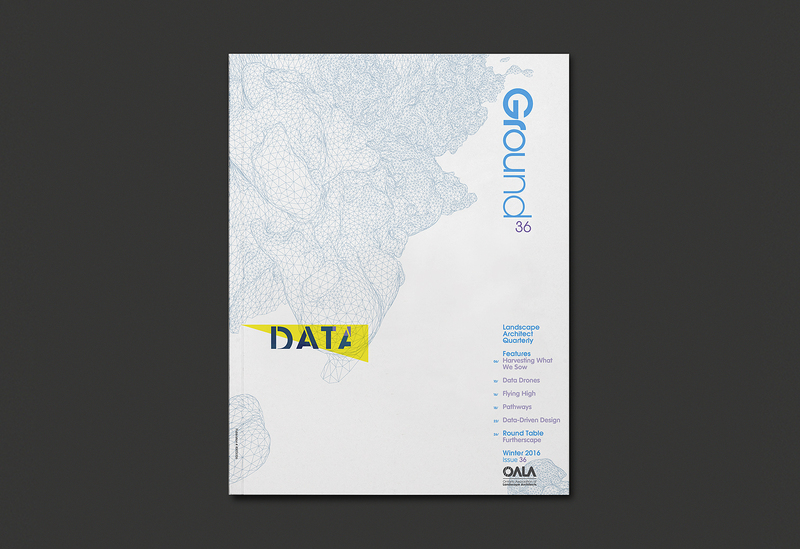 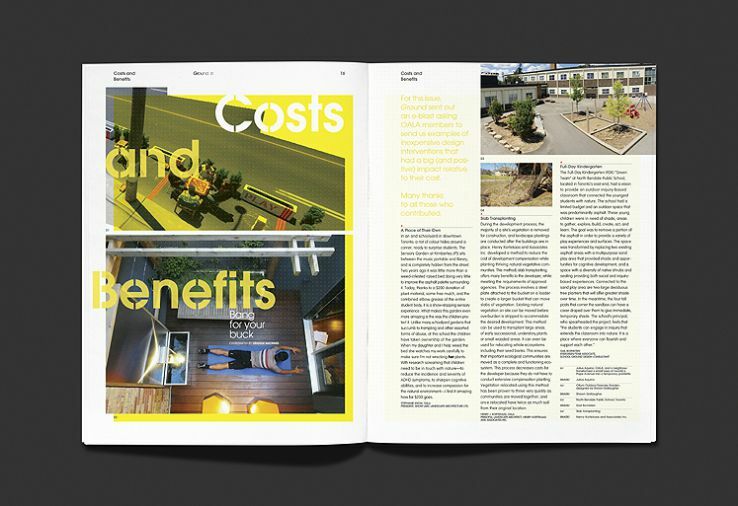 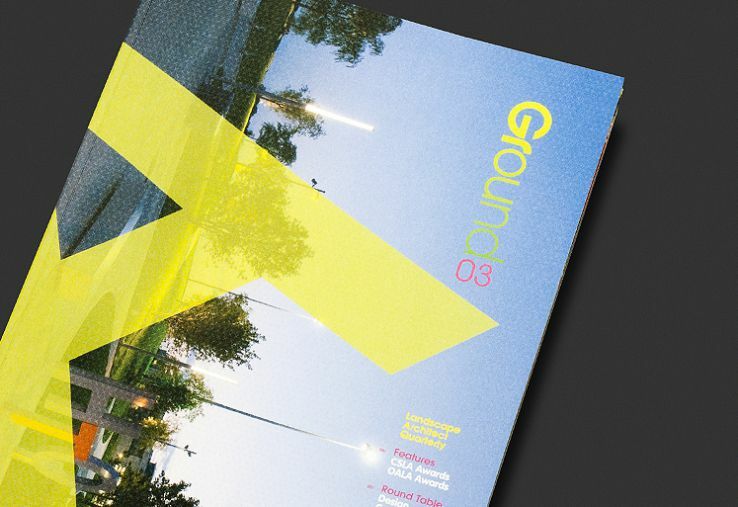 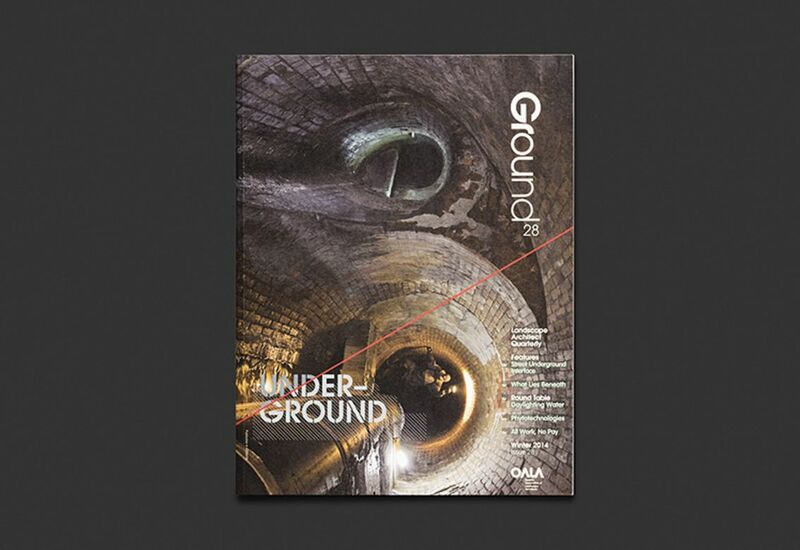 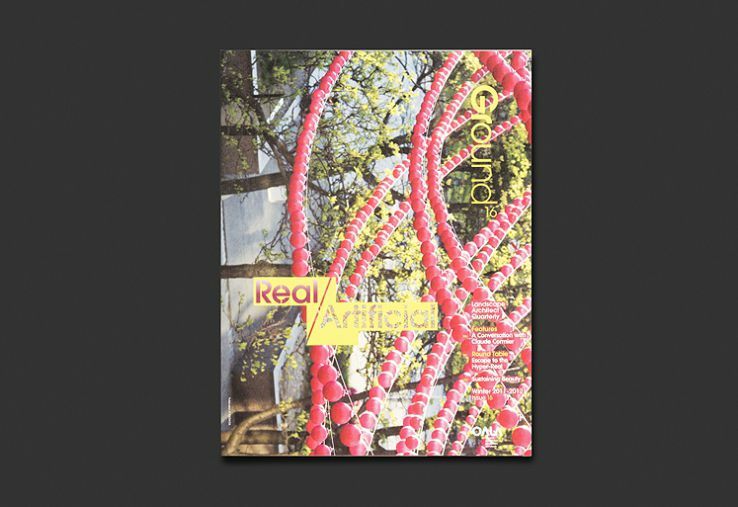 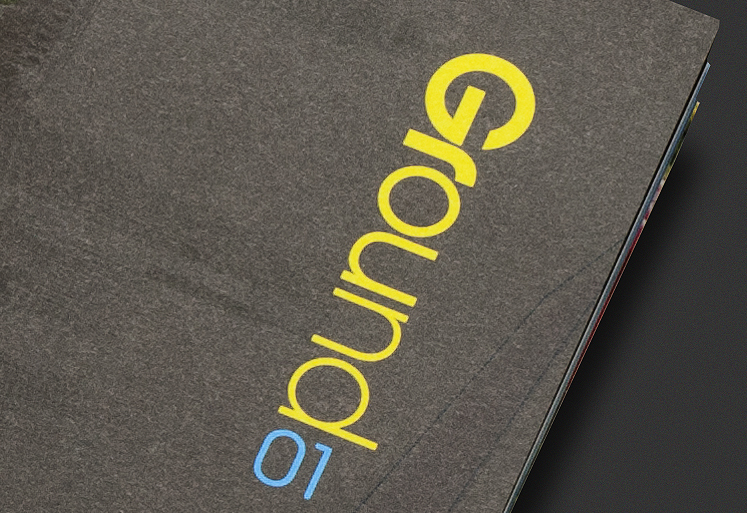 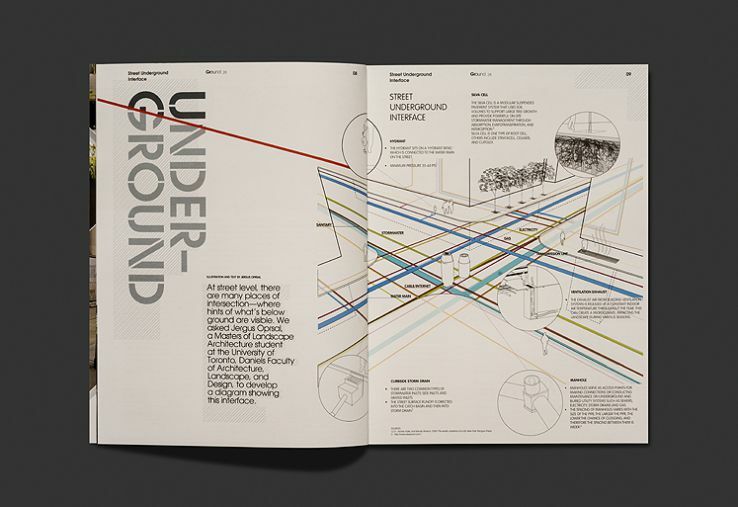 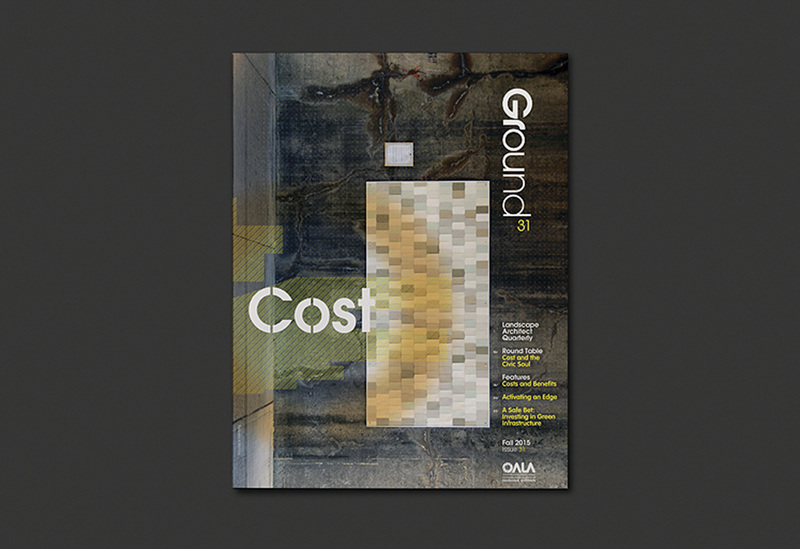 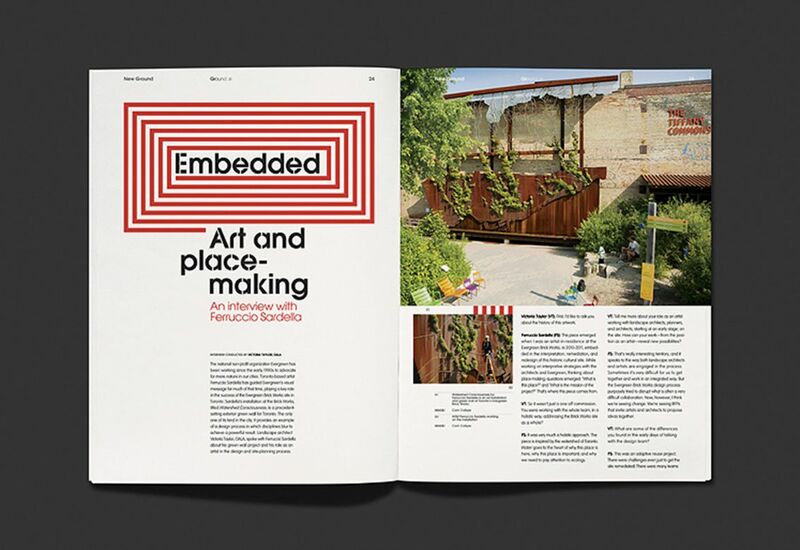 Ground magazine was literally redesigned from the ground up—no pun intended. 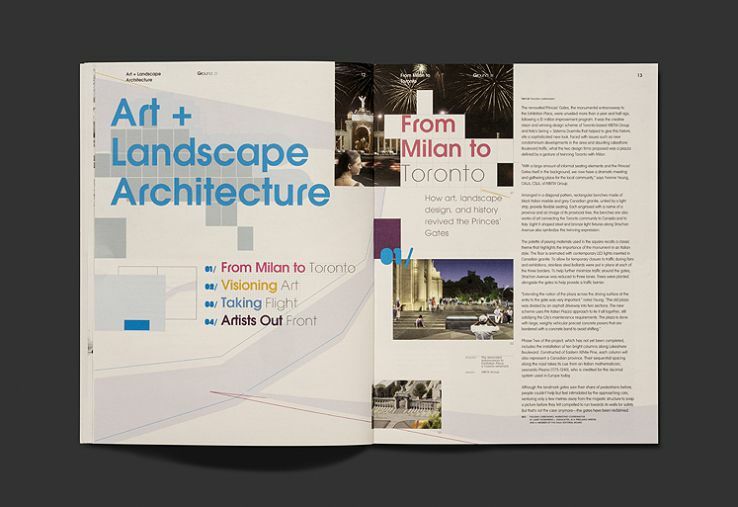 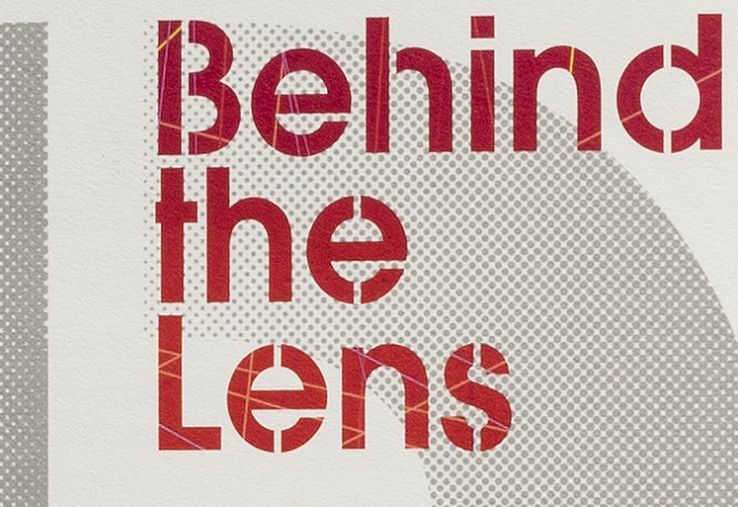 An editorial structure was developed along with an editorial grid system and a sophisticated typographic style. 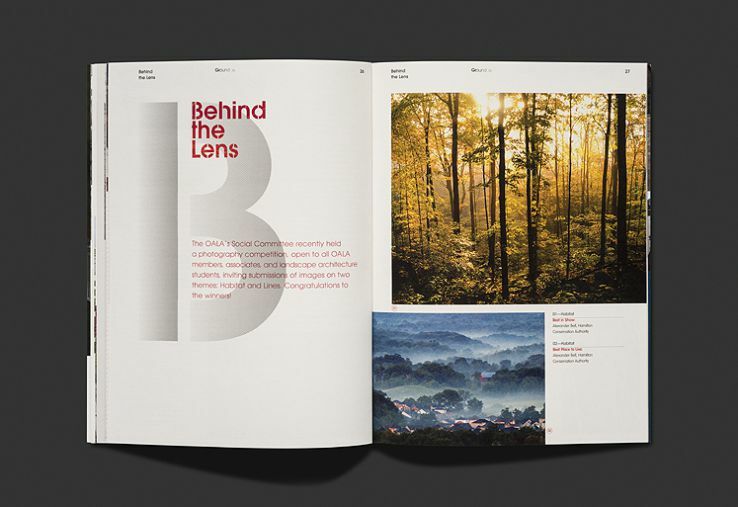 Often, typotherapy approaches a new project by considering the font as one of the first design elements and will specifically custom design typefaces for the project in order to give the brand a distinct identity. 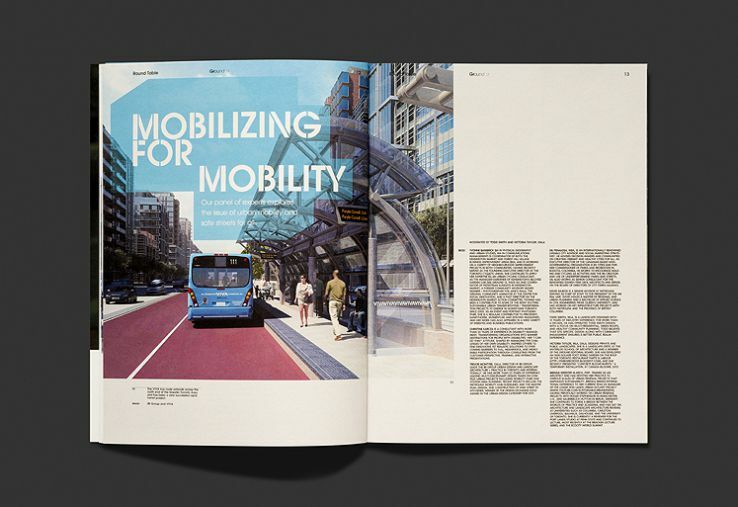 To complete the redesign, Typo-AG Stencil and VWmobile typefaces were created. 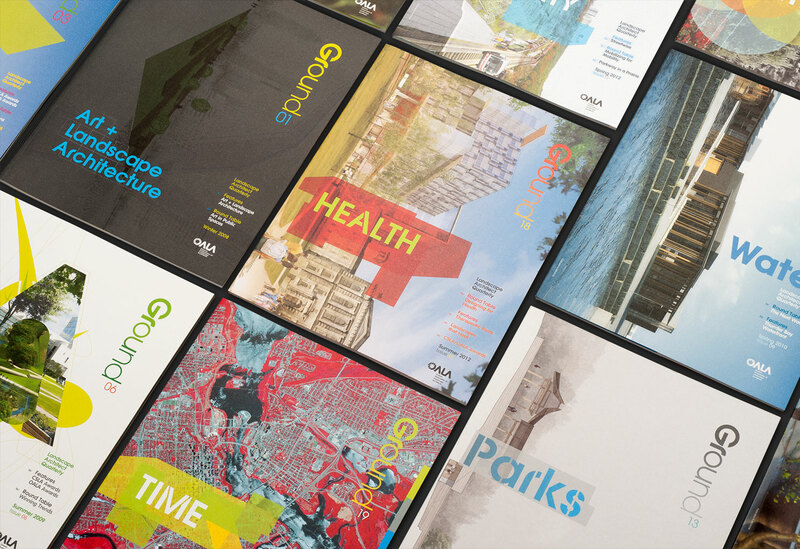 These typefaces are geometric, sans-serif fonts with a modern, inviting, and easy-to-read look and feel. 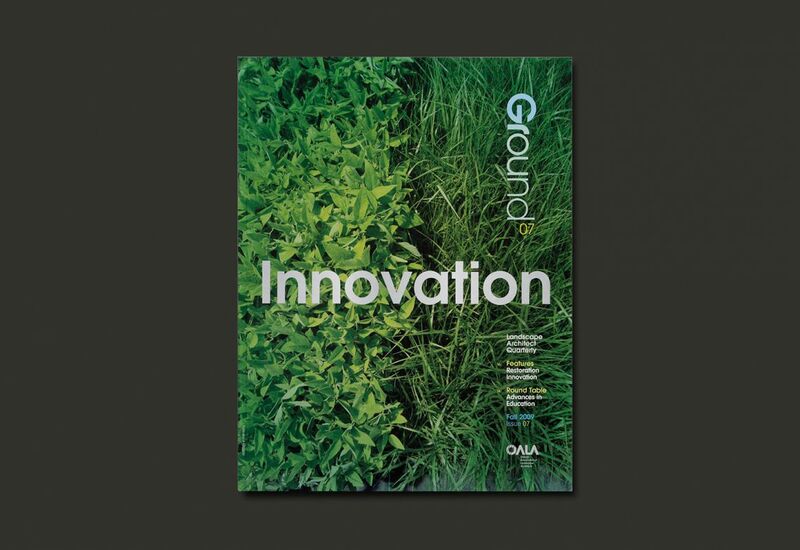 The result… Ground magazine went on to win the CSLA National Merit award and has drawn increased advertising revenue as well as rave reviews from readers.